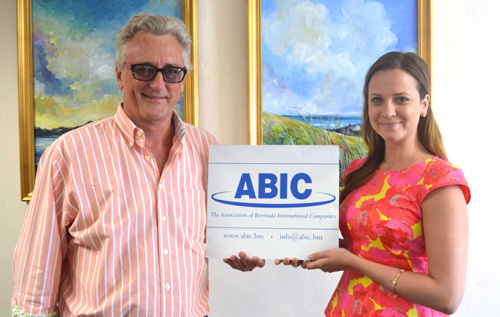 The Association of Bermuda International Companies (ABIC) celebrated the success of its 35+ year scholarship programme by highlighting some of its past awardees. The awards are supported by more than 50 companies in Bermuda looking to encourage young Bermudians to join the sector. In the past decade, the programme has given over $5 million to approximately 240 Bermudian students pursuing full undergraduate or post-graduate degrees in accredited colleges or universities abroad. • Scholarships are awarded on the basis of financial need, academic ability and field of study. • Some 50-60 applications are received from Bermudian students each year and, each year, 16-20 students are awarded $30,000 over a two-year period. • In 2009, ABIC introduced a Post Graduate scholarship aimed at those with at least two consecutive years’ experience in the workforce, which is valued at $20,000 for one year. • On our 35th anniversary, ABIC announced a new scholarship, The Shernelle Outerbridge Memorial Award sponsored by Zurich, for an additional $15,000 in undergraduate business and finance studies. • For the past 2 years PwC has provided the shortlisted students with an interview training session prior to their interviews and the students found the session to be invaluable. The scholarship deadline was in April and the committee, consisting of 20 volunteers from our donor companies and colleagues in the business, HR and academic community, are presently conducting extensive interviews for the shortlisted applicants. The 2014 awards will be presented to the successful candidates at an Awards luncheon on July 23rd. For queries regarding the ABIC Education Awards please contact Velina Wheatley-King at vwheatley@bcc.bm.